Feeling settled WAY MORE settle into work and the new place-it’s been killin’ me Smalls not to be blogging! With the nights getting a lot colder, I’ve been craving warm comfort foods. Although I have a soft spot for pasta on a chilly night, a hearty soup can be just as comforting, yet I feel less guilty! 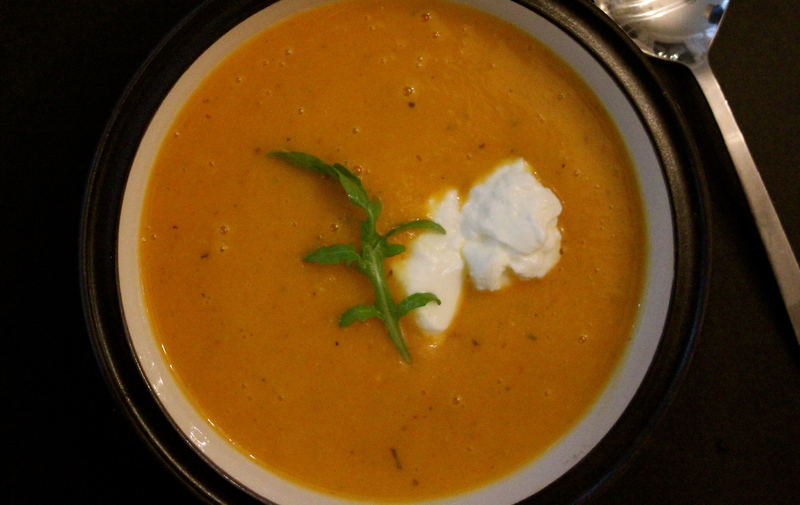 Butternut squash is one of my favorite soups. 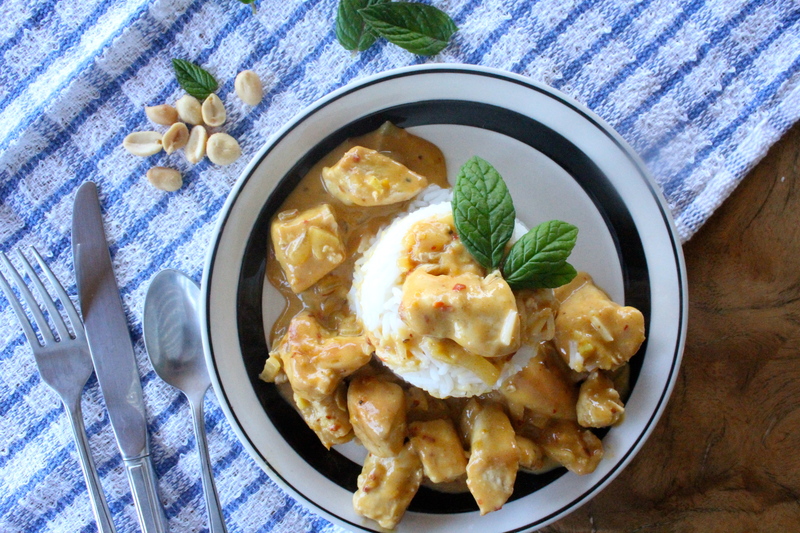 It’s hearty, a little bit sweet, and FULL of antioxidants, vitamins, and proteins. My soup is also vegetarian, gluten, dairy, and wheat free. Roasting the butternut squash and using heaps of herbs really gives the soup depth, so don’t shy away from those herbs! Preheat oven to 200C. Peel and dice the butternut squash. (You want the squash to be diced fairly small, about 1/2 an inch or less, to be kind to your blender blade). Put the squash on a baking tray, lined with foil. Sprinkle on some oil, and all of the herbs, give it a good toss/mix around. Place in oven, and roast for 20 minutes. While the squash is roasting, dice and sweat your onion and garlic until soft(with butter or coconut oil, and add a teaspoon of se salt) in deep saucepan. 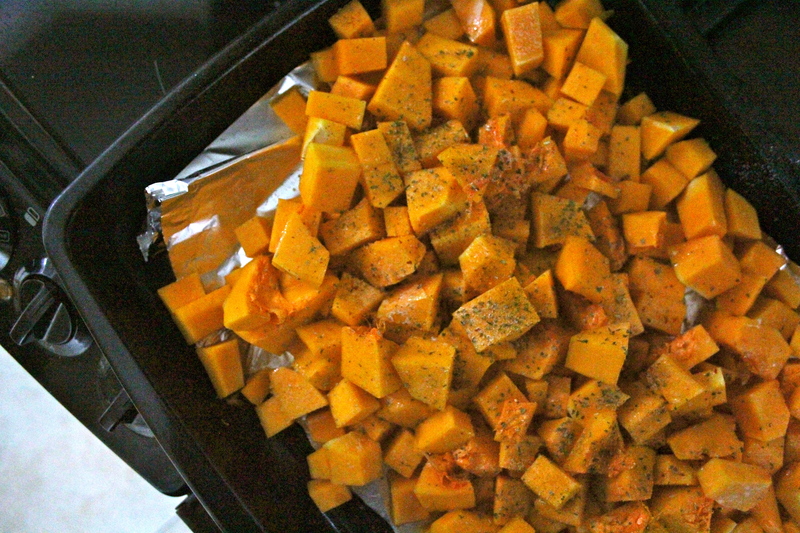 Then add the roasted squash to the pan, and let cook for about 5 minutes. Add your stock, salt and pepper, and bring to the boil. Puree in the blender. Top with toasted seeds, Greek yogurt, or diced chorizo! Delicious! !